Austin's Wolf's first competition at 3'. Wolfie had another great weekend at Palm Beach. When Josh gets home I will get you pics…. 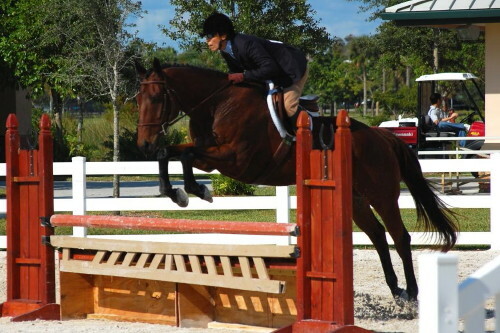 We did Hunters on Saturday – including our first ‘Hunter Derby’; and equitation on Sunday. He did well both days and we have more three colored ribbons! Trying to plan our winter season….. Waiting (hoping) for a break in this heat wave we have been having.